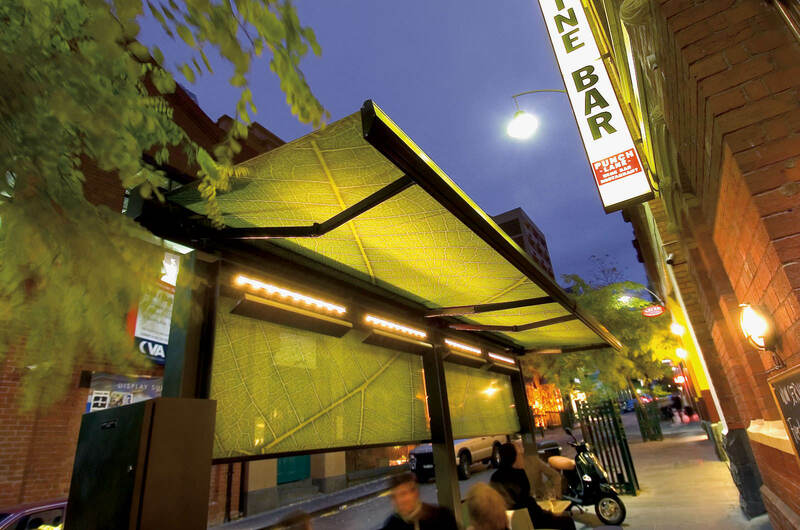 The Punch Lane Street Canopy provides a comfortable, warm and safe environment outside a well-established restaurant and wine bar. 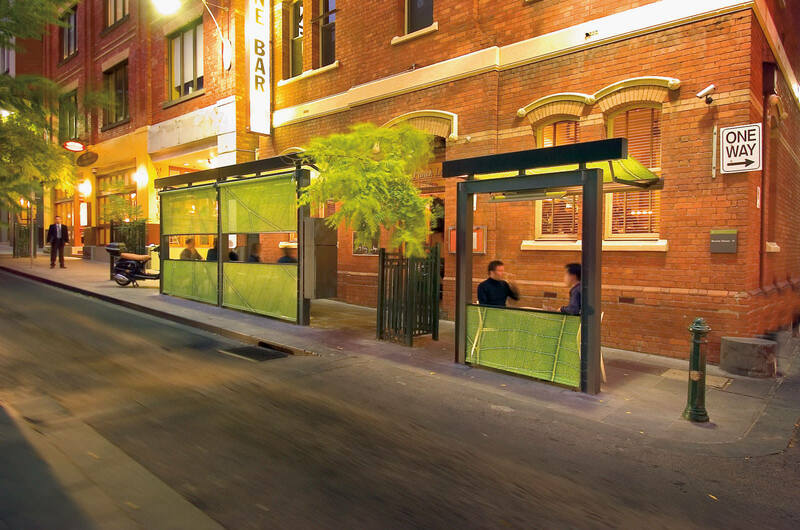 A retractable overhead awning and a vivid green leaf-patterned translucent screen forms a semi-enclosed barrier along the street. 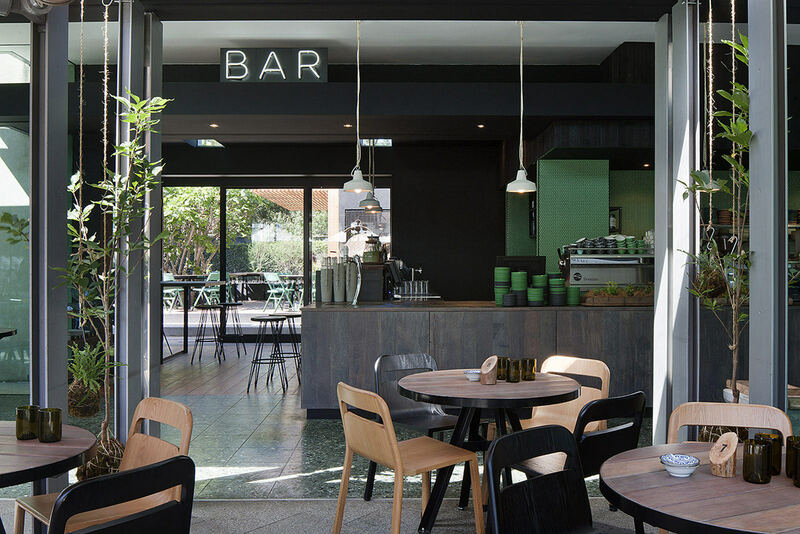 The canopy not only activates the restaurant but also acts as a piece of robust street furniture, adding a further layer to this vibrant part of town. 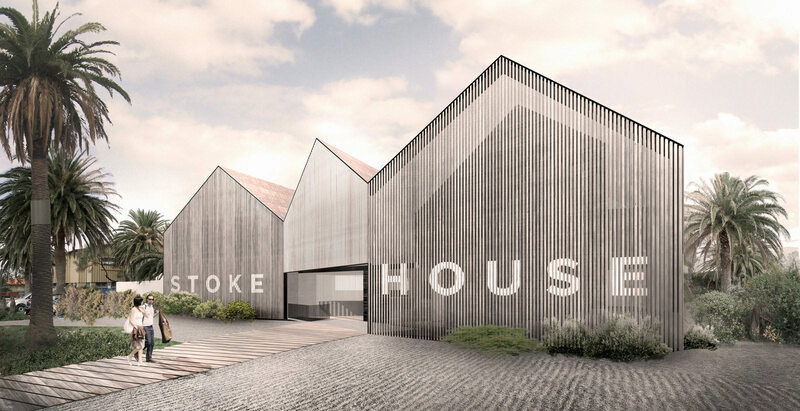 The structure’s translucency allows people to still see the passing street activity, and engage with their surroundings and the people around them, which further emphasizes the appeal of outdoor seating. 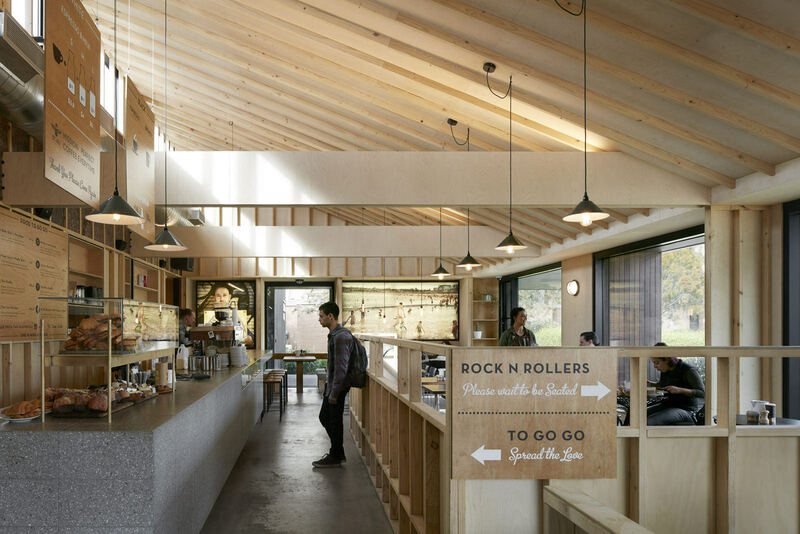 Every element of the space is designed to be as flexible as possible, to change with the time of day, the weather, the number of people and the demands of the customers. 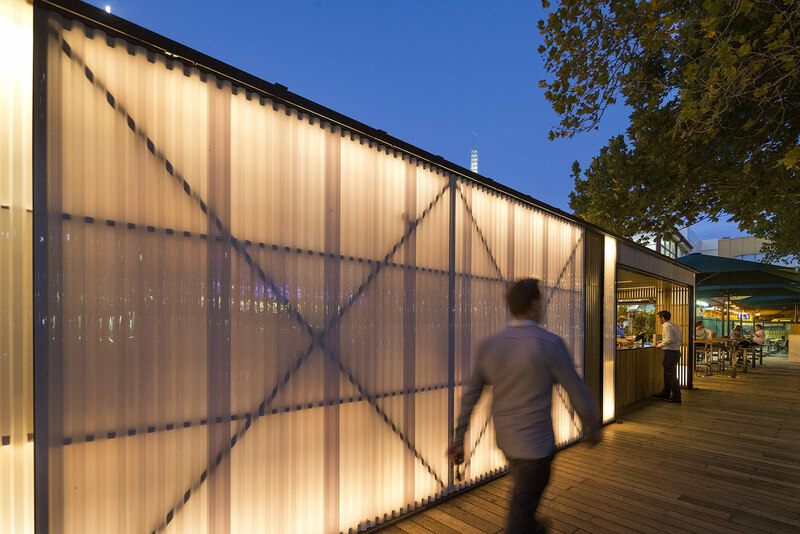 When the restaurant is closed, the awnings can be retracted and the screens removed to reveal a basic steel structure – much like the trunks and branches of the adjacent street trees. However, when the restaurant is open, depending on the weather, the retractable awnings can provide shade, the integrated radiant heaters provide warmth, and the concealed lighting provides an ambient candle like glow. Flexible seat types, and adjustable tables ensures that every outdoor seating scenario can be catered for.